Powers, Wyman, Berden, Miller, Johnson. Nicknamed New England Worlds, the Rapha Super Cross Gloucester brings in stacked fields for both the men's and women's UCI races. Started in 1999 with just two hundred and twenty two racers attending, on September 27th, 2014, two thousand one hundred and seventy five riders showed up ready to compete. Each year I look forward to photographing this race, not only because it draws in racers from all over the world, but because of the breath taking views and interesting course that Stage Fort Park provides as a venue. Sandy off camber trails and chicanes spiral past an ocean view, the iconic sixty foot tall rock providing aerial stadium seating for spectators. Usually plagued with unpredictable and muddy conditions, this years dry and hot weather turned the soil into clouds of dust that swarmed over groups of riders as they turned off the pavement and hit the dirt. 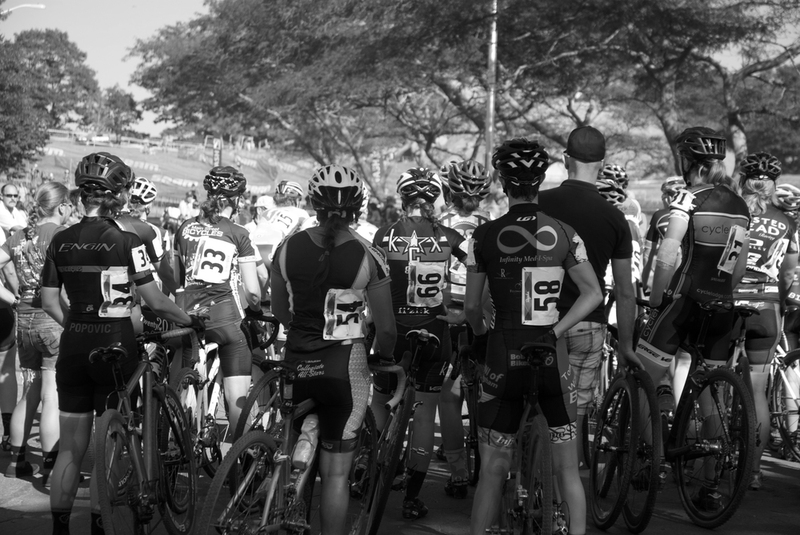 From 8:00 am until early evening, racers line up at the start line. The whistle blows and the field charges forward, sprinting up a steep paved hill before hitting the dirt trails marked off by colorful tape. The trails wind around a grassy field, undulating up and down, making sharp turns left and right before aiming riders at a set of stairs. They dismount and run as spectators drink beer and cheer along side. The crowds at Gloucester as are notorious as its competitors. Unlike road races, cyclocross is easy to spectate. Riders go around in laps and much of the course is open to onlookers. Amateurs race earlier in the day and stay to cheer on their friends and watch the professional racers. Adorned with cups of beer and cowbells, you can follow the racers on course by the sound of roars and rattles. As the race progresses, cyclists push through sand pits, swing through corners, leap over man made barriers. A hour of racing as exciting to watch as it is challenging to ride. On the final lap, the crowds gather at the finish line, cheering and banging on the barriers that separate them from the course. The leaders sprint up the same steep paved hill they started on to cross the finish. Amongst coughing up dust and trying to regain their breath, the racers congratulate each other and pose for photos with friends and teammates. 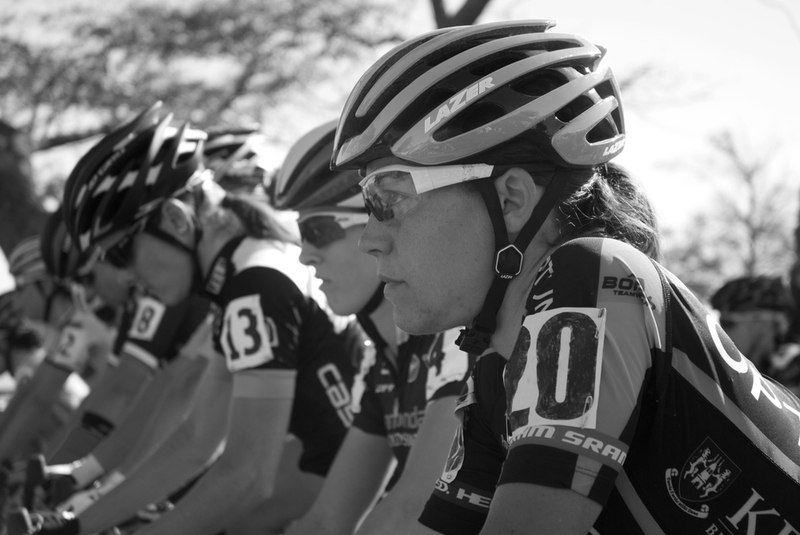 It's only the beginning of cyclocross season and everyone is excited for whats to come.